JOHN LAVERNOICH has written almost a dozen books, as well as various short stories and articles published both in print and on the Internet. 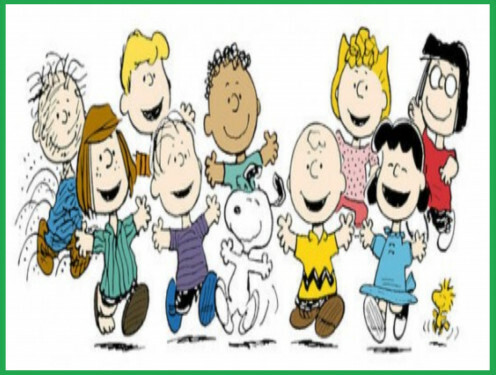 The PEANUTS gang as illustrated by creator Charles M. Schulz. It's hard to believe that the popular comic strip Peanuts is sixty-five years old this year, even though the strip itself actually came to an end fifteen years earlier, not long after the death of its creator, Charles M. Schulz. And yet, Charlie Brown, Snoopy, and their cohorts remain popular today, thanks in no small measure to their success in the entertainment industry, which includes TV, films, theater, and audio recordings -- not to mention their success as TV pitch-kids. 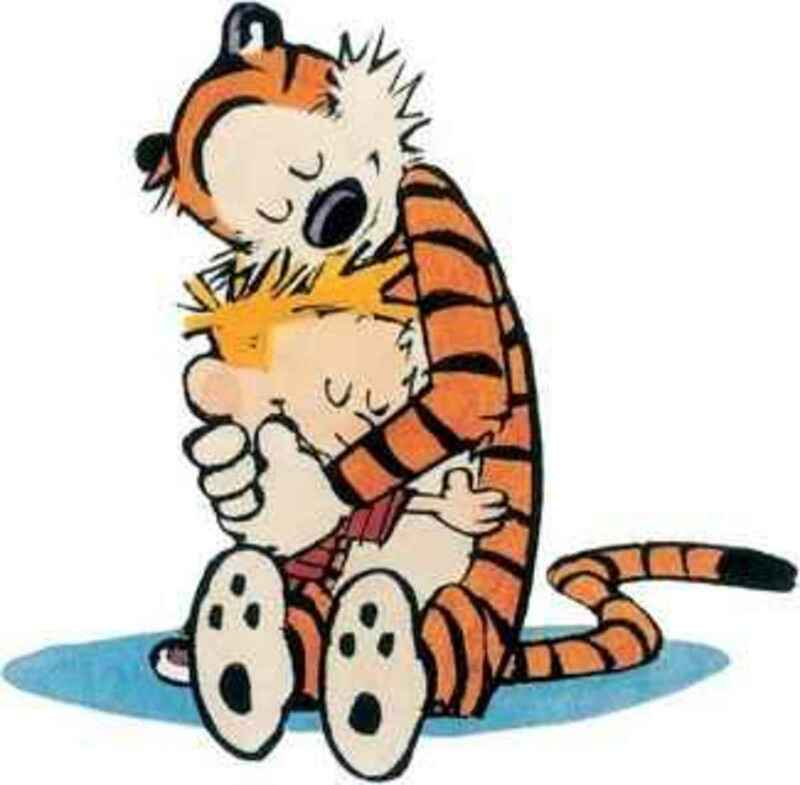 Most importantly, the Peanuts gang's mass media forays have helped retain the charm and wit of the comic strip itself, as The Peanuts Movie, which debuted in movie theaters worldwide in early-November 2015, helps remind us of the comic strip, its characters, and its impact on generations of fans and inspiring cartoonists. Peanuts -- the comic strip -- debuted on October 1, 1950, an off-shoot of Charles Schulz's previous comic strip Li'l Folks, which he created in his native St. Paul, Minnesota a few years ago, and offered a hint of the humor that would help define Peanuts during its almost half-century run; by the end of the 1960's, the strip became popular worldwide, as Charlie Brown, Snoopy, and company became international icons. While it's unlikely that the Coasters' 1959 hit song "Charlie Brown," written by Jerry Leiber and Mike Stoller, was inspired by the comic strip's star character -- there's no doubt that the song's lyrics described the comic strip character's traits to an tee, given his many failures to fly a kite or win a Little League baseball game. Beginning in 1959, when the song "Charlie Brown" became a Top Ten hit, the Peanuts gang made their first on-screen appearances in a series of animated TV commercials for Ford Motors -- including those which were seen on Tennessee Ernie Ford's NBC variety show during the 1950's and 1960's; the TV commercials were directed by an animator who would be as much forever linked to Peanuts as Charles Schulz: Bill Melendez. While the Ford TV commercials were a bit awkward -- at least the early ones -- they foreshadowed the increasing on-screen success that the Peanuts characters would enjoy by the end of the 1960's and beyond, as well as proving their value as pitch-kids to the advertising world, which continues today with TV and print commercials for MetLife. In 1962, Columbia Records released a Peanuts record album inspired by the comic strip's success, with Arthur Siegel voicing Charlie Brown, and Kaye Ballard (later to star in the 1960's TV sitcom The Mothers-In-Law) playing Lucy Van Pelt, who debuted in the comic strip in 1952, and who along with her brother Linus, would become two of the strip's most enduring key characters; the album's success would lead to other subsequent audio albums in the decades to come, including several children's albums based on several of the Peanuts TV specials. In 1963, documentary filmmaker Lee Mendelson -- who would form a successful partnership with both Charles Schulz and Bill Melendez two years later -- decided to produce a TV documentary on both Schulz and Peanuts, with several animated sequences directed by Melendez. 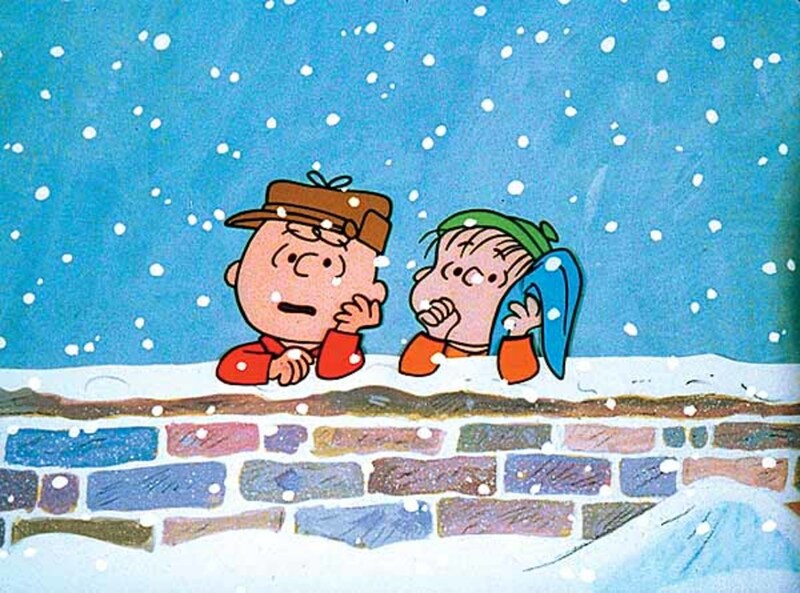 Though Mendelson couldn't get a major TV network to broadcast his documentary on Schulz and Peanuts, CBS loved its animated sequences enough to commission the Schulz-Mendelson-Melendez team to produce an animated TV special which debuted in December 1965, and which would become one of the most acclaimed and beloved of all time: A Charlie Brown Christmas. The special, in which Charlie Brown directs a Christmas pageant at his local grade school partly to raise his own spirits, remains a classic for many reasons, including not only the casting of real children to voice the Peanuts characters (a tradition that still endures today), and the original score by jazz musician Vince Guaraldi (another key figure in the success of the first eleven years' worth of Peanuts TV specials), but also Linus Van Pelt telling the story of Jesus Christ's birth from the Bible's New Testament, which gave CBS network executives initial concern, yet has since become one of TV's all-time greatest moments, given the fact that it was first broadcast during the mid-1960's, as a generation faced both social change and the tragedies and controversies of that decade which would spill over into the 1970's. A Charlie Brown Christmas would win both the Emmy and Peabody Awards, setting the stage for subsequent animated TV specials which were broadcast on CBS (and later, NBC, ABC, and FOX) over the next forty-plus years, with the majority of them written by Schulz, and produced and directed by the Mendelson-Melendez team. 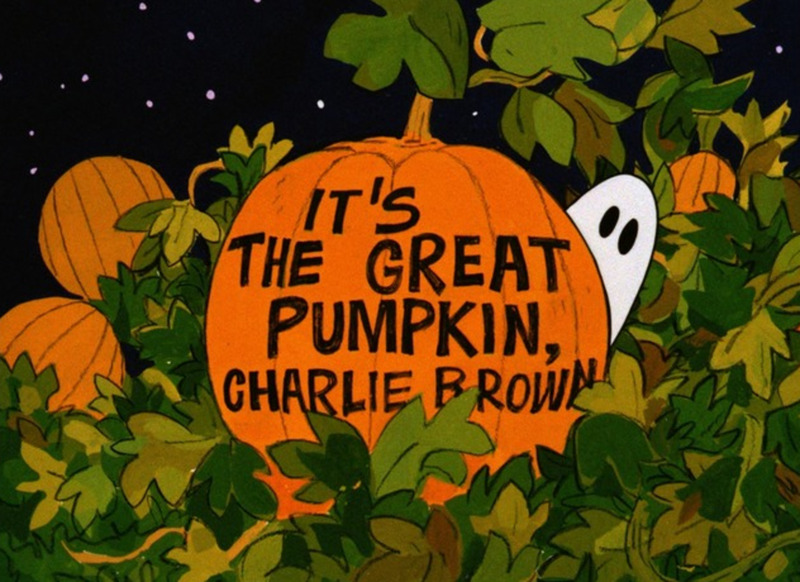 Among the best Peanuts TV specials of the 1960's, aside from A Charlie Brown Christmas, were Charlie Brown's All-Stars (1966), which focused on the Peanuts gang's Little League baseball team; It's The Great Pumpkin, Charlie Brown (1966), which features a great sequence in which Snoopy imagines that he's a World War I fighter pilot battling the Red Baron; and You're In Love, Charlie Brown (1967), which explored Charlie Brown's fixation on the Little Red-Haired Girl (which is also a key plot-line in the new Peanuts Movie). In 1966, the Royal Guardsmen, a popular rock-and-roll group of that decade, had a Top Ten record hit with "Snoopy Vs. The Red Baron," inspired by the character's imaginary battles with the German flying ace -- the song's success led to several more rock songs performed by the group which focused on Snoopy, including "The Smallest Astronaut" (1969), in which Snoopy went to the moon, a song that would, in several respects, foreshadow the Apollo 10 space mission in mid-May 1969, in which both the spaceship's CSM (Command Service Module) and LM (Lunar Module) were named after Charlie Brown and Snoopy, and helped pave the way for the history-making success of Apollo 11 two months later. New York theater audiences got a chance to see the Peanuts characters in flesh-and-blood form (even if grown-up actors did play them), when the off-Broadway musical You're A Good Man, Charlie Brown debuted in early-March 1967 (and ran on-stage for four years), featuring songs written by Clark Gesner; Gary Burghoff, who played Charlie Brown in the original stage version, would later achieve greater success as "Radar" O'Reilly in the film and TV versions of M*A*S*H. You're A Good Man, Charlie Brown would inspire not only two TV adaptations (including a 1985 animated TV special) and two successful Broadway versions, but also the 1974 stage musical Snoopy (later adapted into a 1988 animated TV special). In later decades, human actors would don Peanuts character costumes and perform live at not only the world-famous Ice Capades, but also Knott's Berry Farm theme park in Buena Park, California (since 1983, when the Peanuts comic strip began its long and successful association with Knott's). The Peanuts gang, having conquered TV, theater, and the music industry, then set its sights on motion pictures -- in 1969, CBS's newly-formed motion picture division helped finance the very first Peanuts feature film, A Boy Named Charlie Brown, in which the title character wins a spelling bee at his local school which results in him entering a nationwide spelling bee contest. The success of the film, featuring original songs by singer/poet Rod McKuen, would inspire not only three more feature films from the Schulz-Mendelson-Melendez team -- Snoopy, Come Home (1972), Race For Your Life, Charlie Brown (1977), and Bon Voyage, Charlie Brown (And Don't Come Back) (1980), but also The Peanuts Movie (co-produced by Blue Sky, the 3-D animation studio responsible for the Ice Age film franchise). 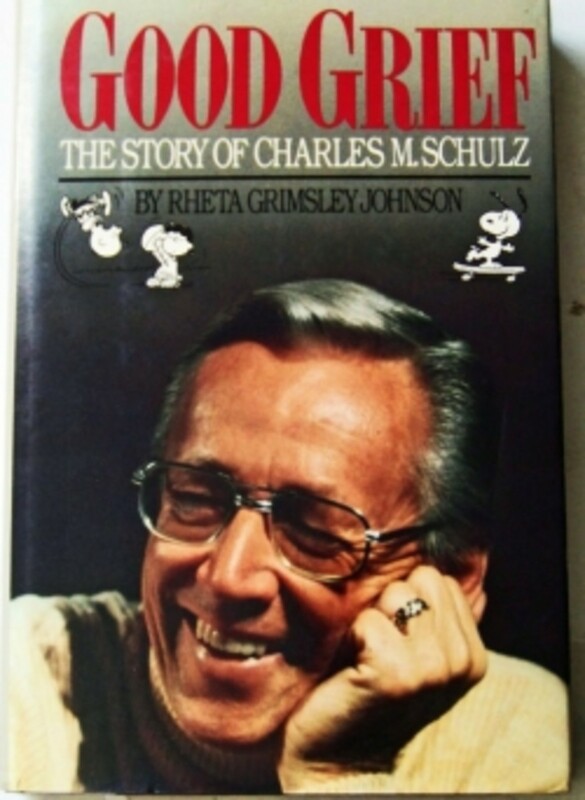 During the 1970's, Lee Mendelson and Bill Melendez, along with Charles Schulz, crafted fifteen TV specials -- some of the most notable were A Charlie Brown Thanksgiving (1973), in which the title character and Snoopy serve a most unusual Thanksgiving meal for the Peanuts gang; the Emmy-award winning You're A Good Sport, Charlie Brown (1975), in which Charlie Brown, Snoopy, and Peppermint Patty compete in a kids' motorcycle race; and It's Arbor Day, Charlie Brown (1976), which was the last Peanuts animated TV special that Vince Guaraldi composed before his death in early-February 1976. Among the twenty-four Peanuts TV specials produced during the 1980's were not only What Have We Learned, Charlie Brown? (1983), a TV sequel to Bon Voyage, Charlie Brown (And Don't Come Back), in which Charlie Brown, Snoopy, Woodstock, Linus, Peppermint Patty and Marcie visit the beaches of Normandy, France where the Allies' successful liberation of Europe in World War II began (and which Charles Schulz took part in while serving in the U.S. Army during the war years), and It's Flashbeagle, Charlie Brown (1984), inspired by the hit movie Flashdance (1983), but also the eight-part TV mini-series This Is America, Charlie Brown (1988-89), in which the Peanuts gang witnessed key events in U.S. history. In the fall of 1983, The Charlie Brown & Snoopy Show debuted on CBS as part of its Saturday morning line-up, courtesy of the Schulz-Mendelson-Melendez team. Though it only lasted for two seasons, The Charlie Brown & Snoopy remains one of the better Saturday morning TV series broadcast during the 1980's, helped in part by the comic strip's continued popularity and the TV specials and feature films that it begat -- ironically enough, when the Schulz-Mendelson-Melendez team began the Peanuts TV specials in the 1960's, they had initially resisted the idea of doing a weekly TV series due in part to their busy schedules. During the 1990's, in the last full decade of the Peanuts comic strip, six TV specials aired, including Why, Charlie Brown, Why? (1990), in which Linus befriends a young girl battling cancer. Also during that decade, the Peanuts gang entered the realm of the home video game market, starting with Get Ready For School, Charlie Brown (1995), one of the few Peanuts projects that Charles Schulz, Lee Mendelson, and Bill Melendez didn't produce for film or TV. After Charles Schulz's death and the end of the Peanuts comic strip in mid-February 2000, Lee Mendelson and Bill Melendez would work on the final seven Peanuts TV specials of their long and successful partnership, beginning with It's The Pied Piper, Charlie Brown (2000), and ending with He's A Bully, Charlie Brown (2006), in which the title character helps out Linus and Lucy's younger brother Rerun when he's bothered by a local bully. (Melendez died in early-September 2008, though his animation studio is still active today, producing TV commercials featuring Charlie Brown, Snoopy, and company.) The Peanuts gang's on-screen appearances during almost the last ten years have included the direct-to-video Happiness Is A Warm Blanket, Charlie Brown (2011), co-produced by Schulz's son Craig, and a number of animated shorts based on a number of comic strip story-lines produced by Warner Bros., which now owns the rights to the Peanuts animated TV specials from the 1960's to the 2000's (but not the five animated feature films starring the Peanuts gang, including the currently-in-release Peanuts Movie). Much has changed in the world since Charlie Brown, Snoopy, and their comic strip cohorts first debuted in 1950 -- but thankfully, what hasn't changed is the characters' enduring popularity, part of the Peanuts comic strip's overall legacy, as well as that of its creator. The box office success of The Peanuts Movie -- one of the first to feature the characters in 3-D animation format while remaining true to the comic strip's unique charm and wit -- is proof that we haven't seen the last of Charlie Brown, Snoopy, and their pals on-screen. 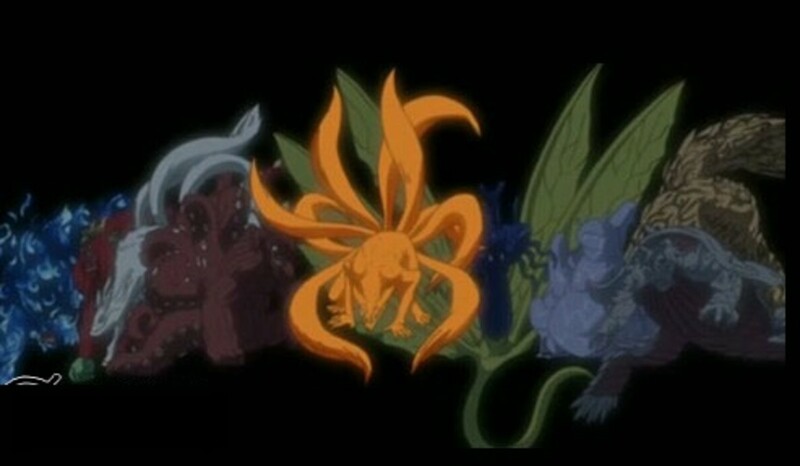 May their popularity and charm last far beyond the 21st Century.